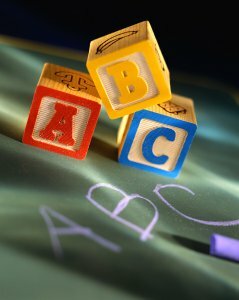 Should you be including preschool writing activities in your early childhood classroom? Yes! Experts agree preschool is the prime time to start learning basic skills and develop a love for the art of writing. A report from the U.S. Department of Education (What Works: Research about Teaching and Learning, second edition, 1987) states, "Children who are encouraged to draw and scribble 'stories' at an early age will later learn to compose more easily, more effectively, and with greater confidence than children who do not have this encouragement." 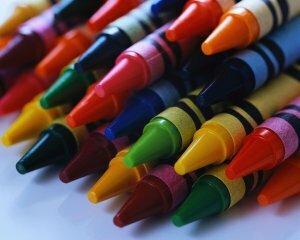 Even toddlers, who can hardly hold a crayon or pencil, are eager to “write” long before they acquire the skills in kindergarten that formally prepare them to read and write. Studies of very young children show that carefully formed scrawls have meaning to them, and that this writing actually helps them develop language skills. Research suggests that the best way to help children at this stage of their development as writers is to respond to the ideas they are trying to express. Very young children take the first steps toward writing by drawing and scribbling...others may dictate stories into a tape recorder or to an adult, who writes them down and reads them back...it is best to focus on the intended meaning of what very young children write, rather than on the appearance of the writing. Children become more effective writers when parents and teachers encourage them to choose the topics they write about, then leave them alone to exercise their own creativity. If you keep preschool writing activities positive, encouraging and at the child's developmental level, it will be not only an enjoyable experience but one that children will look forward to participating in! Below you will find more information about what to expect preschoolers to be able to do in their writing, along with ideas for teaching preschool writing and where to find practice worksheets and other resources. When we, as adults, prepare to write, we like to make sure we have all the supplies and utensils ready...children are not different! If they have the necessary supplies within reach, they are more likely to use them, experiment with them, and find creative uses for them. Hard surface to write on - table, lap desk, etc. Variety of paper - lined, unlined, construction, stationary, envelopes, etc. After children have had some time to experiment with their preschool writing supplies, follow up by asking what they like to use best. Do they like the big, thick crayons or the thin ones? Do they like to use lined paper or construction paper? You can use the feedback they give you to adjust your teaching accordingly. Do you have a Preschool Writing Interest Center? I have written an article that discusses how to set yours up and what children learn in that center! CLICK HERE for the Writing Center Interest Center Article. Like many things in life, writing must begin with small baby steps and progress to more advanced skills as the child is ready. Children develop at varied rates, so it is imperative to remember that you may have 20 children in your classroom on several different levels. These are the typical stages that a child goes through as a writer. Remember, this is not completely linear. There may be some overlapping between stages (a child may be in more than one stage at a time). All children begin by holding their writing utensil and dragging it across the page, amazed by how they can change the paper in front of them. Eventually, these marks move on to more developed pictures, which begin to tell a story. At that point, the child may also begin to make "writing marks" or scribbles - they know that writing symbols on paper conveys meaning. During the next stage, children begin to have an understanding that the meaning on paper is conveyed through letters. They start to make symbols that resemble the letters they are trying to copy. Now when a child writes, they are able to include well-formed letters (mostly upper-case), although they may be random and not connected to the words they represent at all. As children begin to hear the distinction between words, they are often able to decipher the first letter of each word they wish to write. At this point, children are beginning to stretch out the sounds in the words and may include most of the first and/or ending sounds. Inventive spelling, also referred to as sound spelling or phonetic spelling, shows that children understand that words consist of consonents and vowels. They start to include more of the middle sounds of words. This is the middle stage where children are starting to use more sight words in their writing, beginning to use punctuation and capitalization. During this last stage, children are correctly using common spellings, grammar, and basic conventions. Again, you will likely not see all of these writing stages in your preschool classrooom. Most children do not reach the final stages of writing development until mid-grade school. However, it can be helpful to know where your children are heading so you can guide them along their path to becoming better writers. Make up a Cooperative Story. You can do this activity with an entire class or just with your family around the dinner table. The first person starts off by setting the scene (characters, setting, etc.). The next person gives another event in the storyline. Each person continues around the circle adding details and events. The last person must conclude the story by giving a solution to the problem. Read a story outloud to your children. Before you get to end, stop reading. Ask children what will happen. Finish reading the story and discuss the ending with them. Did it turn out the same way you predicted? Storytime! Storytime in Preschool is great ANY time of day! Find a wordless picture book at a bookstore or library. Have your child tell the story by using the pictures as prompts. One of my favorites is The Snowman by Raymond Briggs. Put on a play. Have children use costumes to get into character. Talk about the events of the story before they begin (same questions as with puppet show). Encourage dialogue, gestures, and action. Cut apart the segments of a comic strip. Ask your child to put the segments back in order. Talk about why the pieces have to go in a certain order to make sense. To take it further, you can have your child to fill in the words of the characters - either orally or by "writing." Read a familiar story to children (like a fairy tale). Give them pre-made pictures of the main events of the story out of order. Have them glue the pictures in correct order onto a piece of paper that has numbered boxes (so the children know where to put the pictures). Have children practice writing their letters and numbers in a variety of mediums. I am not a supporter of preschoolers sitting in a group at the table, rotely printing letters over and over. Very little is learned in this manner. Print letters in shaving cream, pudding, sand, rice, water on cement or wood, and finger paint. Trace letters and numbers made out of sandpaper. Practice drawing letters and numbers in the air. Offer children plenty of opportunities to trace lines, shapes, play connect-the-dots, and anything that allows them to develop their fine-motor skills. Of course, part of preschool writing is learning how to print. There are many places that you can go to find handwriting worksheets. As I said earlier, I'm not a fan of group "drill and kill" printing exercises in preschool. However, I DO think practice sheets should be available to those who are ready. In addition, having these sheets available in the writing center, laminated, and offered with low-odor dry erase markers, your children will have the opportunities to practice everyday throughout the day. You can read more about the many printable resources available to you and ideas on how to use them by going to my Preschool Printables page by clicking here! 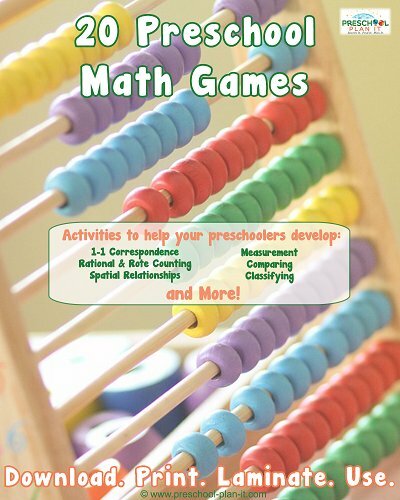 Go to the main Preschool Activities Page for more Activity Planning Ideas!